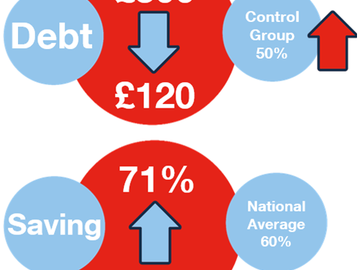 Problem debt costs UK taxpayers £248m and wider society £900m annually. £874m in social value could be generated by giving the UK’s most vulnerable young people access to expert-led financial education, a charity has claimed after an independent report of their work. Evaluators, ERS, spent a year examining the impact of ‘survival’ money management workshops on over a thousand 16-25 year old NEETS and care leavers, who on average are more likely to be in poverty and have problem debt. 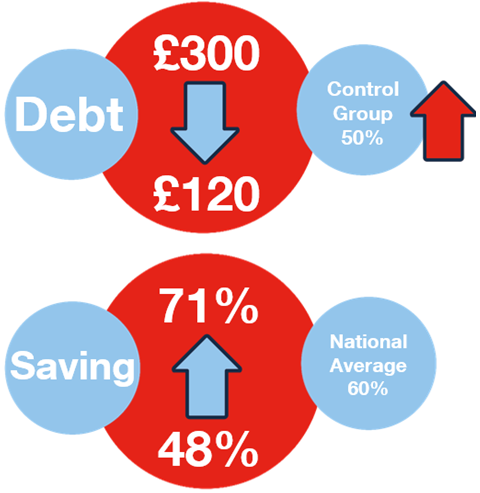 Average debts of £300 dropped 60% to £120. This compared to control groups of their peers, who saw their average debts grow by 50%. The number saving money regularly increased by 23%. Using the respected Housing Association Charitable Trust social value model, the £156m cost of providing the UK’s 800,000 Neets and 10,000 annual care leavers with financial education is outweighed nearly six times over - reducing debts, increasing savings and alleviating financial burdens. This year, the Children and Social Care Act placed a legal duty on local authorities to protect young care leaver’s economic wellbeing and ensure access to financial information. In 2016 The Children’s Society found that almost half of councils in England fail to offer these services. 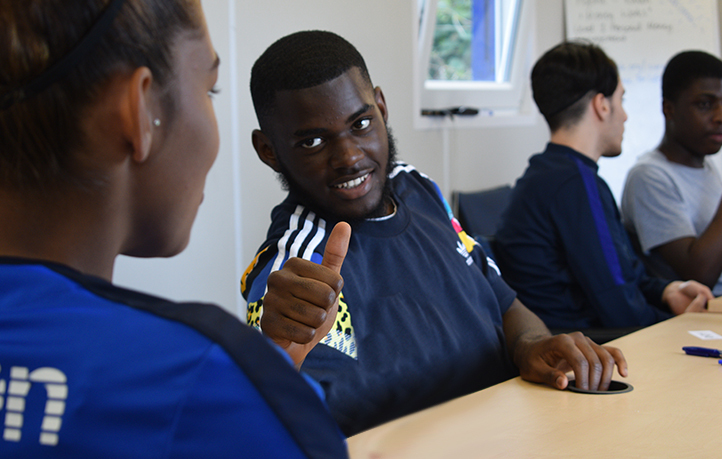 ERS’ findings strengthen the case for providing trained expert money guidance for vulnerable young people, which is backed by reports from the All Party Parliamentary Groups on Financial Education for Young People, and on Ending Homelessness, and the Mayor of London. 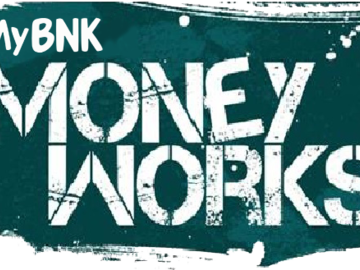 MyBnk’s Money Works course covers independent living, digital finance skills and debt prioritisation. It tackles topics such as budgeting and habits, the financial system, borrowing, how taxes, banking and benefits work, and accommodation. 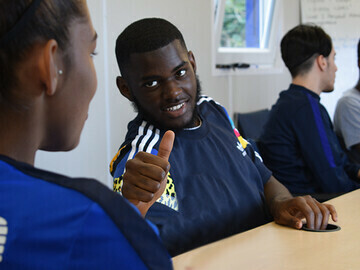 Sessions were delivered by MyBnk via councils leaving care units and employability programmes run by organisations such as Princes Trust and Premier League Works. The research was funded by the Money Advice Services’ £12m ‘What Works’ Fund: a two-year investment programme designed to test and pilot potential new financial capability solutions, scale up interventions and evaluate existing projects across the UK. It evaluated Money Works’ programmes’ theory, outcomes, causality and value for money. It may also be more effective to direct resources outside of London. ERS discovered a greater social return on investment of £8.19 for every £1 versus £4.05 in the capital. The programme therefore helps those most in need, as young people outside London were found to have lower financial capabilities. Money Works closes this gap. Bexley Leaving Care - Crystal Palace FC. 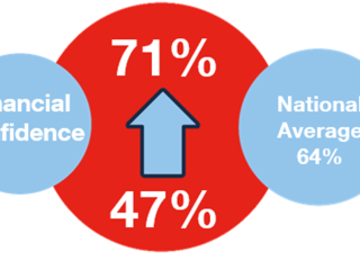 National averages: Money Advice Service UK adult Financial Capability Survey, 2017. Executive Summary - Full report – Appendix. £1 spent = £5.57 social value. Cost of one Money Works programme = £1,550. 8 people on average go through one programme. 8 ÷ 800,000 NEETS + 10,000 annual care leavers = 101,250 programmes. 101,250 x £1,550 = £156,937,500 total cost. £156,937,500 x £5.57 = £874,141,879 social value. The Children’s Society – Cost of Being Care Free. Mayor of London – Short Changed. APPG for Ending Homelessness – Homelessness Prevention. APPG on Financial Education for Young People – Vulnerable Young People. Players of People's Postcode Lottery. Together with young people, they have created innovative, high impact and high energy workshops that bring money to life. 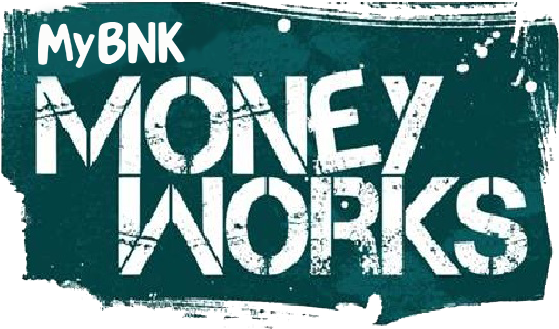 MyBnk covers topics such as saving, budgeting, public finance, social enterprise and start-up entrepreneurship. Alongside delivery, they also design projects and training programmes. Since 2007 they have helped over 220,000 young people learn how to manage their money in 1,300 schools and youth organisations. As a core part of its work supporting the Financial Capability Strategy for the UK, The Money Advice Service launched the £12 million What Works Fund in 2016 to establish the most effective ways of helping different groups manage their money, and find out what works to increase financial capability. In its initial phase, the Fund awarded grants to 65 pilot projects across the UK, directly impacting over 40,000 people. The impact of these projects is being evaluated, so that lessons learned can be used to increase effectiveness, attract funding, and scale up interventions to help millions of people across the UK. This evidence is available on the Money Advice Service Evidence Hub, a focal point for organising and sharing financial capability evidence and insight. Now in its 25th year of trading, ERS is a highly respected economic research consultancy, employing 18 people in offices in Bristol and Newcastle. The company undertakes a variety of economic and social research studies for government departments, non-departmental public bodies, local enterprise partnerships, local authorities, universities/colleges and a range of third sector organisations. * For more information regarding media usage, ownership and rights please contact MyBnk.